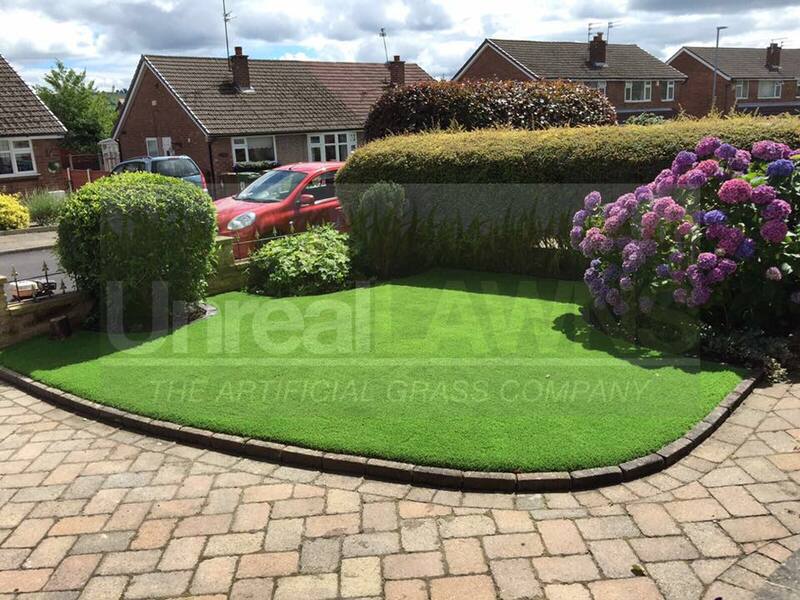 Unreal Lawns supply and install artificial grass in Knutsford and the north west of England. We serve domestic and commercial customers in the area, with products suitable for a wide range of applications from outdoor spaces and gardens, to event areas, exhibition space and more. See below for some examples of projects we've carried out in the Knutsford area. 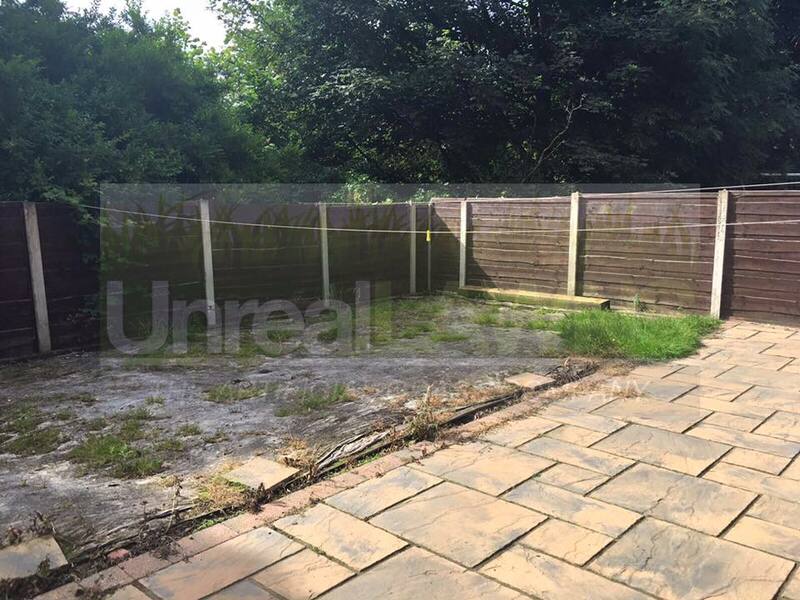 Unreal Lawns completed the installation of artificial grass for this customer’s back garden in Knutsford. They were looking for a maintenance free lawn that they could be proud of all year round. The use of artificial grass provided the perfect solution to the customer’s needs. Here, we used our Luxury 35mm artificial grass. The result is a simple but attractive and neat rear garden that the customer was delighted with. We were called upon to come and install our artificial grass in this little front garden in Knutsford. The customer wanted their lawn to look green and attractive to their neighbours, without having to maintain a real grass lawn. Using our Luxury 35mm artificial grass, we were able to achieve this. The customer was over the moon with the result. 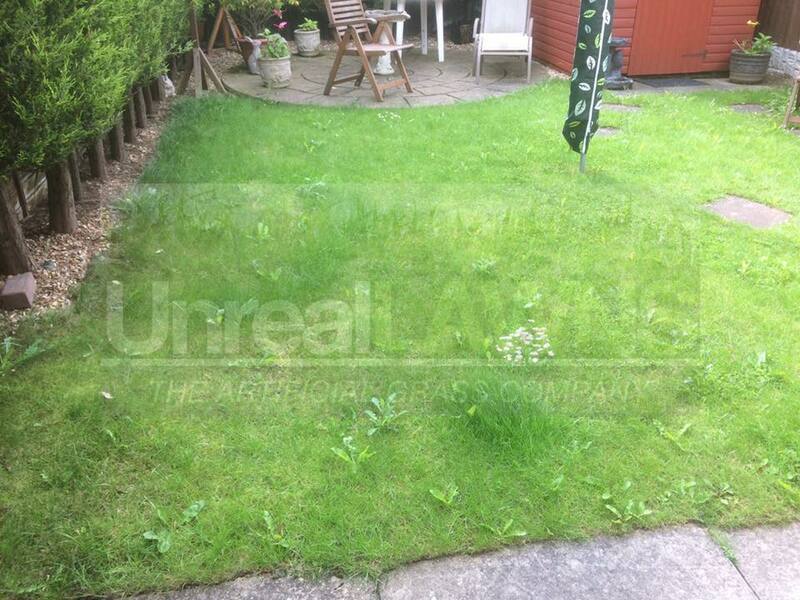 A customer in Knutsford contacted Unreal Lawns, hoping we could come and transform their back garden. As you can see from the photos, the garden was in a bad way when we got there. However, using our top of the range Supreme 38mm artificial grass, we were able to bring life back into the space. The result is a neat and tidy looking back garden, with the artificial grass contrasting perfectly with the patio stones. The customer was more than happy with the transformation and wished they had contacted us sooner!